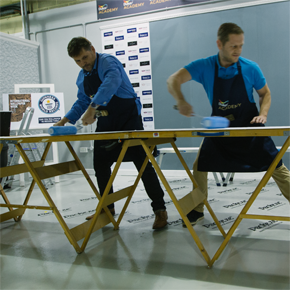 At the recent Dulux Academy open day, Dulux challenged its painters and decorators to try and beat the Guinness World Record attempt for hanging three sheets of wallpaper in the fastest time. Eight teams of decorators were challenged to hang three pieces of wallpaper on an 8 foot high, 5’5 foot wide wall, with three attempts to break the record. The record was smashed by Dulux Select Decorators Simon Medlin and John Green, who completed the challenge in 1 minute 14. 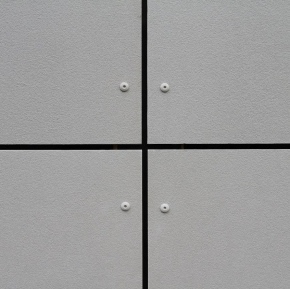 93 seconds (the current record held by Phil Burgess and Simon Whitaker is 1 minute 16.435 seconds), however the judges deemed the attempt invalid due to several visible air bubbles. 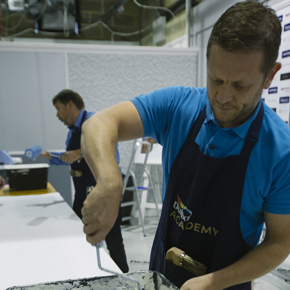 The event was held as part of a Dulux Academy open day, which provides decorators with the opportunity to tour the building and learn more about the 59 courses available. 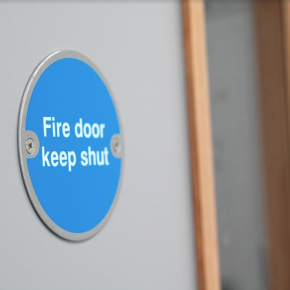 The academy offers career development by learning and upskillers students practical and business knowledge, and provides wallpaper specific courses such as one-day courses on wallpapering techniques and feature walls, as well as a two-day course on advanced wallpapering. Throughout the day, 15 rolls of wallpaper were used, totalling 22 minutes and 3 seconds of time spent hanging wallpaper in record attempts.